U.S. and Saudi business leaders will convene in Riyadh this weekend and into next week for events aimed at promoting business opportunities and investment in Saudi Arabia and enhancing the bi-lateral commercial relationship with the United States. The inaugural U.S.-Saudi CEO Summit, organized by the U.S. Chamber of Commerce and the Council of Saudi Chambers of Commerce (CSC) and hosted at CSC headquarters in Riyadh, will begin on Sunday morning on January 24th, ahead of the kickoff of the GCF Sunday evening. The purpose of the U.S.-Saudi CEO Summit is to promote private sector to private sector dialogue by top business leaders on issues affecting the U.S.-Saudi commercial relationship. Last week, Secretary of State John Kerry and his counterpart, Foreign Minister Adel Al-Jubeir lauded the importance of the U.S.-Saudi strategic and diplomatic alliance. That alliance could be strengthened significantly by a stronger private sector and commercial relationship that includes but goes beyond energy and defense. High-level private sector executives from both Saudi Arabia and the United States will be presented a unique opportunity for direct dialogue on these issues, and the results will form a working paper that will be presented to leaders in position to act on these recommendations. 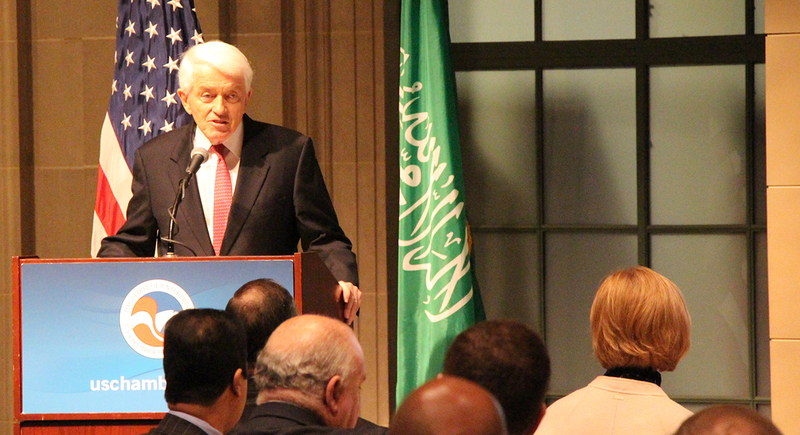 Welcome remarks will be presented by HRH Prince Abdullah Al-Saud, Saudi Ambassador to the U.S., Mr. Thomas J. Donohue, President and CEO, U.S. Chamber of Commerce, Dr. Abdul Rahman Al-Zamil, President, Council of Saudi Chambers, and The Honorable Joseph Westphal, U.S. Ambassador to Saudi Arabia. The 9th Global Competitiveness Forum (GCF) begins that evening, and will be this year’s major event focused on investment into Saudi Arabia and making the Saudi economy more competitive. The GCF will “discuss the key components that drive competitiveness” in the Saudi economy and will take place at the Four Seasons in Riyadh. The event is hosted by the Saudi Arabian General Investment Authority (SAGIA). Participants in the forum “will explore the theme of ‘Competitive Sectors’ and the strategies governments can use to accelerate the role industry sectors play in maintaining sustainable economic growth.